Foster and homeless students may be initially listed as a non-resident of Georgia based upon how they respond to questions on the admissions application. 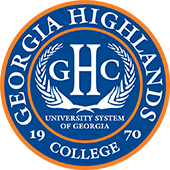 If the student has lived in Georgia for at least twelve months, they may complete a Petition for Georgia Residency form found online at https://www.highlands.edu/admissions-forms/ . Residency questions should be directed to the Need Help button on the colleges main web page.